Izuru Kamukura was the crown jewel of Hope's Peak's research and possessed every talent, a genius of geniuses. The Academy, referring to this "talent that could be called the hope of humanity," called Izuru the Ultimate Hope. For the sake of protecting this talent, the school revealed nothing about Izuru. As such, even the students in the school knew next to nothing about Izuru's existence, but that student, also known as the "symbol of hope," suddenly caused a terrible incident to happen. The 13 elite students who formed the student council of Hope's Peak Academy were brutally murdered by Izuru, Junko Enoshima and Mukuro Ikusaba. Some of the council members were killing amongst themselves while forced to play Junko's killing game. However, it didn't end there. 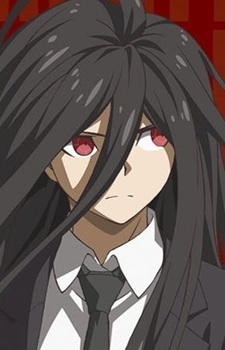 The Academy tried to protect the talented Izuru, and covered up the incident, but elsewhere, a certain student (Junko) tried to use that incident to their advantage secretly began to take action. Junko exposed the cover-up to the reserve course students, who had been dissatisfied with how the school treated them. This added fuel on the fire, and the reserve course students banded together and revolted against the school. In the final chapter of SDR2, it is revealed that Izuru and Hinata Hajime fused together to become as one. Hajime retains his old memories from his life in Hope's Peak Academy and the Killing School Trip, while also keeping the memories of his life as Izuru besides possessing all his talents. In the Dangan Ronpa 3 anime, it is revealed that one of Hajime's eyes is that of Izuru's (red in color), while the other being his natural eye (colored in green).